FOR several years Kawasaki has subtly understated the power of its ZZR1400 (ZX-14R in the US) but new figures show that the 2016 version has been slightly re-tuned to bring the actual figure into line with the claimed one. Tests by the US Environmental Protection Agency, which certifies that all cars and bikes meet emissions rules, also include measured power figures that are, on occasion, not in line with manufacturers’ claims. 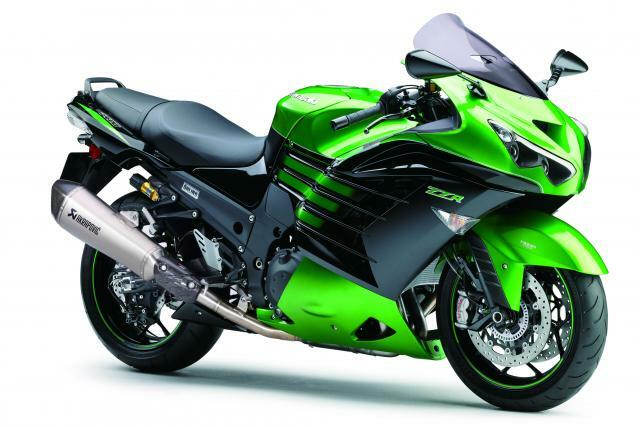 The ZZR1400 is one of those bikes that hasn’t quite matched up. For several years, despite Kawasaki's claim of 200hp, the bike has actually managed 210.7hp in the EPA tests. Now that figure is down to 199.9hp. Although it's a US measurement, the likely explanation is that the ZZR1400 has undergone similar changes over there to those made for Europe, where it needs to meet tougher Euro6 emission limits - so power will be down here too. The latest EPA test data shows the model has a ‘new’ version of the 1441cc engine with a three-way catalyst rather than an ‘oxidising’ cat. Along with peak power, carbon monoxide emissions have been lowered..
Kawasaki's claimed figure is unchanged at 200hp - but the bonus 10hp is gone. Could this hinged helmet revolutionise lid design?